Another "most interesting answer" contest. 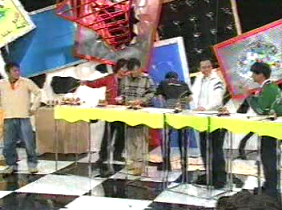 This time however it seems Matsumoto and Higashino could not be present. 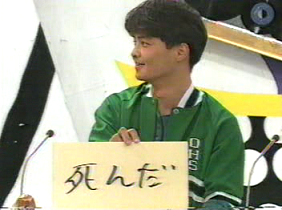 So one of the questions is "Why do you think Matsumoto didn't come?". They're refused by a mother in the park but she suggests they try the Department of Obstetrics and Gynecology at the hospital where they find 3 willing participants. Judging by the brief glimpse in the credits they bring some back for Downtown to try.